I have created this challenge (for sims 3), and it is still a work in progress, so things might be changed or added. I don't know if there is anything like this already in existance, if there is, I haven't seen it. After a particularly bad relationship break up which has broken your heart and turned your life upside down, you decide to move to a new town alone, leaving your family, friends and old life behind you so that you can make a completely fresh start. You have spent every penny that you have on your new home and need a job quickly, if you are going survive past the end of the week - looking through the job vacancies, there are three doors open to you ... which one will you take?? This challenged is based on the theory that the direction your life takes you is prompted by the choices you make. A different decision at one particular point in your life - would have taken your life in a completely different direction. How many times have you said ... "If only I could turn back the clock, I would have done things differently!" .... well your sim can!! So you are going to show your sim, living their life in three different parallel universes. How differently will their life turns out, with each different choice? The defining choice in this challenge will be the three different job paths they take in each life. ~ For this challenge you will need to create a young adult sim in CAS. You can also use a pre-existing sim as long as you start with a completely fresh copy of it (no skills). It doesn't matter if they are male or female. ~ Aging can be set how you want - depending on how long or short you want this challenge to be, obviously the short life span will have you flying through this quicker. ~ Your sim must have two traits in particular .... Artistic and Genius, the other three traits are entirely up to you. 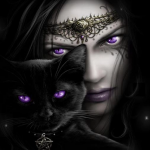 ~ There are no restrictions about playing with occults, if you want to you can, but bear in mind some of the occults have extended lifespans and you could be making their lives unreasonable long. It is probably best to start your sim off as human (in all three lives) - and let them wish to become an occult. ~ You can play any world you like, a game, store or CC world it doesn't really matter, but the world must be built up and populated. ~ If you have seasons, set the weather and moon cycle to how you want it - but once you start to play the challenge these settings must stay as they are. ~ Move your sim onto an empty lot, large or small it is up to you. ~ Build them a starter home, using up all the money available to them (the staring £16,000) leaving them virtually penny less. Besides the basic necessities (bed, fridge, cooker, toilet etc) there are two things that you must give your sim - an easel and a computer. You will be taking them through each door and playing their life through three times and each of their lives must start from exactly the same point in time. So the first thing you need to do when you go into each file to start playing their life, is get them employed in the job for that lifetime. Once you have made your three file copies - you are not to change the town in any way - no changing lots, adding buildings or adding other sims ... so make sure you prepare the world before saving and making your three copies because you can not change anything after you have starting playing the challenge. The same goes for your sim - their traits and LTW and occult are to remain exactly the same for each challenge. Door One ... She doesn't really know what she wants to do with her life right now, she will see where the wind blows her and just takes a part time job at the grocery store / book store / spa / mausoleum ect. Door Three ... your sim chooses not to let life tie her down with a nine to five job - so she registers herself at the town hall as a self employed Painter. You should aim for 1 self employed career - 1 professional career - 1 part time job. ~ It is important that you play each game file in exactly the same way. ~ Mods can be used, as long as you stay consistent. ~ You will need to play this challenge the wishacy way ... you don't control the sims and make their choices for them, they are in control of their own destiny. So you leave them to free will and only control them to help them fulfil the wishes that they are rolling, including and especially their love lives. It is their wishes that will dictate how their life turns out. ~ All lifetime rewards are allowed, as you have earned them. ~ The only building that you can alter during this challenge is the house your active sim is living in. You can obviously modernise the house to fit the needs of a growing family if and when your sim has one, providing you can afford it. Your sim can move house during any of their lifetimes, but only if they roll the wish to move. ~ Your main aim during each life time is to achieve your sims LTW - but it doesn't really matter if you don't. ~Once the children have reached young adult it is up to you what you do with them (kick them out, move them out or let them stay at home) but whichever option you take - be consistent through out the three lifetimes. ~ To complete this challenge you need to play all three of their lives to the end - from the point where they make their job choice until the day they die. ~ If they die prematurely during one of their lifetimes, you haven't failed, them dying early was just how it was meant to be. ~When your sim gets themselves a spouse and family, try not to focus on them too much, because this is your sims life. 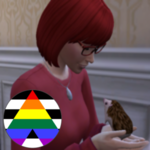 However, on saying that, you can still fulfil the wishes of all the sims living in the active house, because what they do will have an impact on your sims life and make it what it is. ~ I don't see the point in point systems, so there isn't one .... and you can't really fail this challenges - unless of course you give up part way through and don't complete play through all three lives. This Idea was by Nevermore. Instead of playing the same world over with three different jobs ... flip it and play one job in three different worlds. ...... and of course you don't have to stop at three lives if you don't want to ... you can play as many as you like, trying out different job and career paths. So how different were your sims three lives? You already know I'm going to try this. I'm just posting to make it official, that I'm trying out the challenge with what we agreed. Love the look of this challenge, but sadly, I don't have The Sims 3. Just having a think to see if a Sims 4 variant might be possible... doctor and painter should be fine with right expansions, but not sure about part-time jobs. Maybe have a rule where the Aspiration (and extra trait) is random, and might influence their third career... or, they choose to focus on marriage and family instead? Anyway, I'm rambling - great challenge! No you are not rambling!!! Unfortunately I haven't looked at the Sims 4 yet so I can't help you wit it. Hi, I have started this challenge and here is my introduction. Have you gone for the three worlds rather than the 3 jobs ?? I'll be starting my Sliding Doors soon. I was going to start last night, but I got too excited over some CC. I'm going to do what we decided, three worlds. I'm just loading up my game to get my Sunset Valley ready for the three saves and then I have to choose a sim on top of that. I wonder what this challenge would be like with either siblings or twins. Everything being exactly the same with all the rules, and how in each door they do the same option. Except they are sort of competing with each other. Like say door one, one twin wanted to be a journalist, while the other wanted to be a chef. Or in the skills one, one wanted to be a self published author, the other wanted to be a fisher person. Part-time, they pick any part-time job, just not the same one. That could really vary it up, and make the fun last longer. Possibly. simsterlyrock, If you try this for TS2 we'd love to hear how it goes! We want to eventually officially convert this challenge over to TS2 so any input you'd have for that would be great! I feel like it should be easy enough to convert to TS2. The doctor door and painter door would be easy enough to keep the same, but part time jobs aren't available for adults, so the third door wouldn't be possible the same way. simsterlyrock wrote: I feel like it should be easy enough to convert to TS2. The doctor door and painter door would be easy enough to keep the same, but part time jobs aren't available for adults, so the third door wouldn't be possible the same way. There's mod for that but maybe not allowing them past level 3?